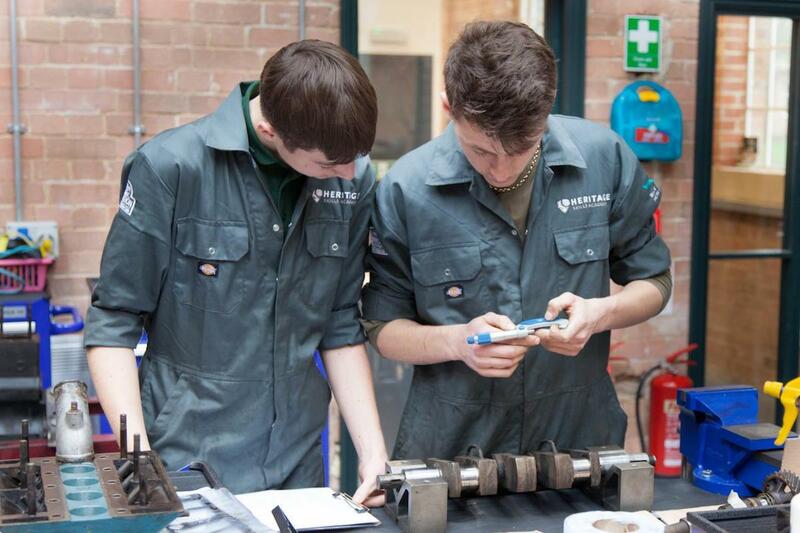 If you're a budding classic car engineer - or the parent of one - take time to visit the Heritage Skills Academy workshop within the Bicester Heritage Technical site when you're at the Show, and learn about their Restoration Apprenticeships. 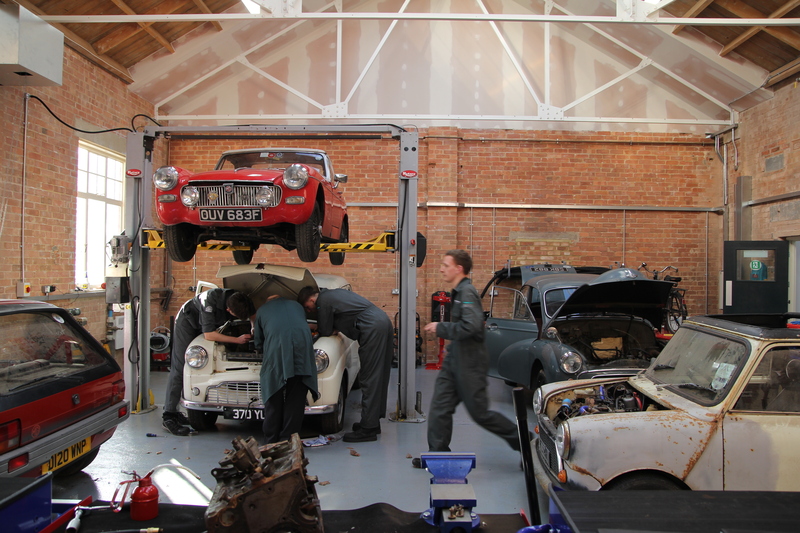 The first apprenticeship at Bicester Heritage started in November 2017. With a management team having over 50 years’ experience of successful Apprenticeship delivery, HSA has set out to provide education and training that far exceeds national standards for heritage restoration apprentices. The training is block release Monday to Friday over a two year program and at Level 2 incorporates all fundamental aspects any restoration engineer will need. 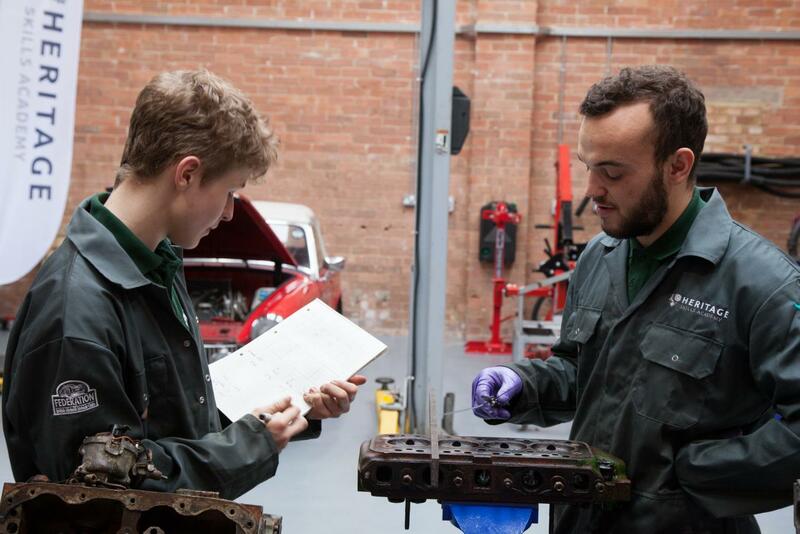 When Jaguar Land Rover begun a disposal of vehicles early 2018, the charity Starter Motor was allocated some vehicles to help with their support of training and education, with resources. Four of these vehicles were supplied to HSA and the apprentices use their new skills to assess and repair them. All four vehicles are now running, and capable of being driven, no small achievement given they had been stored for a considerable time. The apprentices, removed overhauled and refitted fuel pumps, carburettors, distributors, brakes, and sorted various problems. These vehicles include a Standard 8 that can be seen at Classic and Sportscar Show. The apprentices took their skills further and part of the group worked on a 1937 MG SA, getting it running and stopping. On the last day of the block it went around the test track at Bicester Heritage, without any problems. Some further work and parts are required, but nothing that will prevent it from being used! As a dynamic business, the HSA has developed short courses for private individuals, clubs and associations, the revenue from which will support their Apprenticeship training. For further information contact Steve Beaumont.